The fifth West Coast Ocean Acidification cruise in May–June 2016 will be the first coastal cruise to reoccupy study areas extending through the entire California Current System — from Baja C alifornia to British Columbia — since the first West Coast Carbon Cruise in 2007. 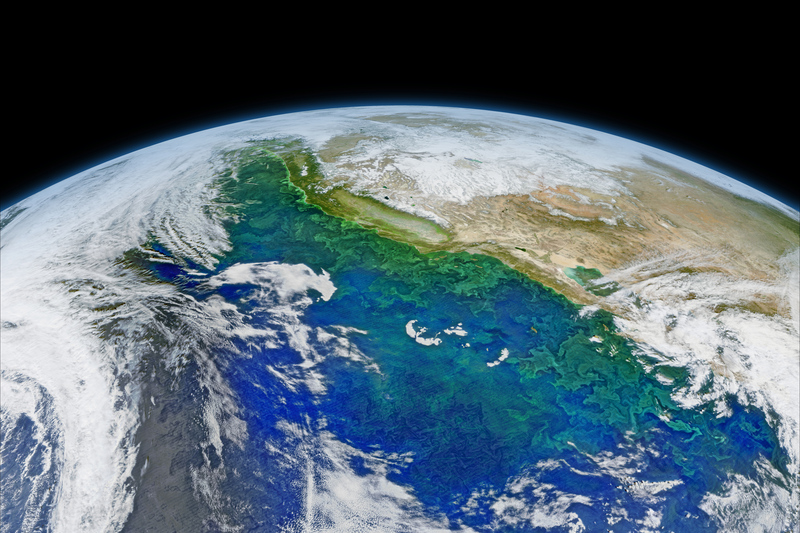 We are excited to have planned the most integrated West Coast Ocean Acidification cruise to date, with physical and biogeochemical measurements designed to assess the status of multiple ecosystem stressors — ocean acidification, temperature, and oxygen concentrations — throughout West Coast waters as the upwelling season commences. Collaborators both onboard and onshore will assess the health of marine ecosystems in the context of the environmental conditions we observe. As on cruises in 2011–2013, these efforts will include studies of harmful algal bloom species and toxin concentrations, as well as analyses of pteropod abundance, diversity, physiology, and calcification. We are pleased to welcome new partners and highlight new analyses on this cruise as well. For example, some of our partners will be employing molecular methods (proteomics, genomics, transcriptomics) to study the response of marine organisms to their environments. We also have scientists studying bacterial diversity and metabolic activity in coastal waters participating for the first time. New assays of stress in krill and other zooplankton — important fish food sources — will also be done on this cruise. Last but not least, other new collaborators will be validating measurements of ocean surface conditions done by satellites from space. This cruise is truly an international effort involving 17 institutions (or major divisions within institutions) representing five countries. In all, 36 scientists will sail with us for some part of the cruise. This experience will serve as part of the career training for 16 student and postdoctoral scientists participating in the cruise. We also have many new partners on shore who will conduct coordinated sampling along the coastline as we sail. All WCOA partners — including those tried-and-true and new additions — will be contributing to our outreach and education efforts along the way. To follow our progress as we progress through our mission, to learn more about the observations we are making, and to meet the scientists making these exciting observations, please visit our blog regularly. Research updates and outreach information will be posted regularly, starting before the cruise leaves the dock on May 5th. You may also find unofficial scientist updates on twitter, instagram, or facebook using the hashtag #WCOA2016.